ROSS Planning is working with Gympie Regional Council to prepare a tracks and trails plan for the region. This is an exciting project aiming to promote and improve the track and trail network within the Gympie region, not only for the benefit of the local community, but also to attract tourists to the region. 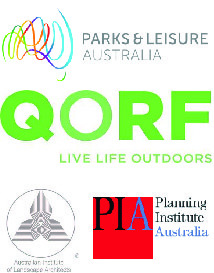 The plan will ultimately map out a number of tracks and trails suitable for bushwalking, horse-riding and mountain bike riding across the region providing recommendations as to how potential users can access the trail information more easily (i.e through improved trail brochures, websites etc.). One major component of the project is to ensure that any proposal meets demand (from both the local community and visitors) and ensures a diverse range of quality trail-based activity opportunities are supplied. It is envisaged that the trail plan will enhance the recreation tracks and trails within public land to provide additional recreation, tourism and economic benefits within the Gympie Region. The two month consultation stage has recently finished, where we have had a huge amount of enthusiasm and suggestions from both stakeholders, track and trail users as well as the general community over the past two months. We are currently sinking our teeth into the valuable feedback we have received though our online survey, Facebook pages and multiple face-to face meetings. We also spent a weekend manning a stall at the community markets talking to the local community about the gaps and opportunities of the trail network.